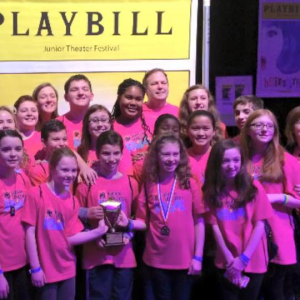 The non-profit Moorestown Theater Company received a Freddie G “Excellence In Acting” Award for its full cast at the 2015 Junior Theater Festival, the world’s largest musical theater festival for children, which took place Jan. 16 through 18 at the Cobb Galleria Centre in Atlanta, Ga. This marked the second straight festival at which MTC received this coveted award! MTC’s 21 students, ages 7 to 17, were cheered on by a group of 33 staff and family members as they performed a 15-minute version of Disney’s “My Son Pinocchio, Jr.” in front of two adjudicators: Tony-nominated composer Justin Paul and iTheatrics VP of publishing, resident choreographer, and former Broadway performer Steven G. Kennedy. Produced by NYC’s Junior Theater Group in partnership with iTheatrics, the JTF is the world’s largest festival celebrating young people and the “transformative power of musical theater.” This year’s festival had 4,500 students, teachers and family members from 26 states and the District of Columbia, as well as companies from South Korea and Australia. 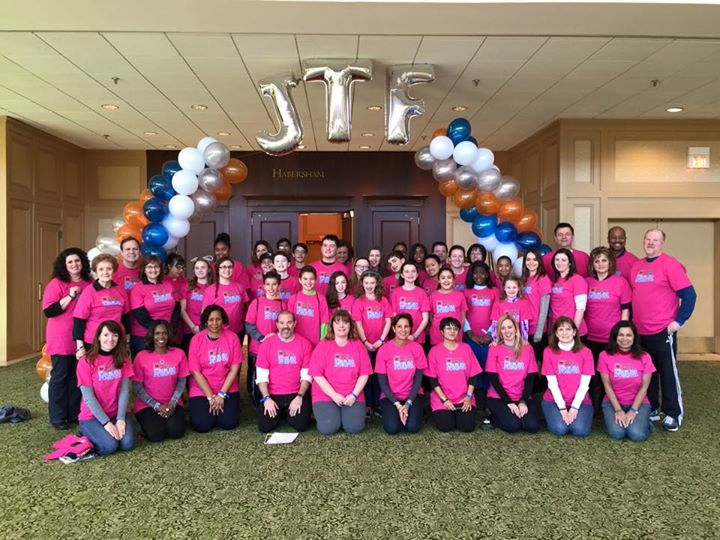 There were a record-high 101 theater companies/schools participating. MTC, which received one acting award in 2013 and three acting awards in 2014, also received one individual acting award this year in addition to the cast acting award, bringing its total to six acting awards at the last three festivals. MTC’s second Freddie G Award at this year’s festival went to Jordan Budney, 11, of Cherry Hill in the form of a “Broadway Junior Slam Acting” Award. The “Broadway Junior Slam” is a theatrical challenge in which students and teachers who don’t know each other must stage and perform a song from a musical in one hour. MTC producing artistic director and Disney’s “My Son Pinocchio, Jr.” director Mark Morgan accepted the “Excellence In Acting” Award for the entire cast for its 15-minute performance. MTC was the only group of the eight in its “pod” to condense its entire show to 15 minutes, as opposed to just performing various songs from a show, which Morgan said was done to highlight as many cast members as possible, instead of just a few lead performers.